At the present time, the Jerusalem Academy of Music and Dance is running some twenty projects and programs in the field of involvement with the community. The projects are different and varied and they address a wide range of the population from the geographical and cultural peripheries of Israel. The aim of all these projects is to provide children, youth and older people with accessibility to academic education in music and dance. The Jerusalem Academy of Music and Dance is a unique institution in a number of ways: firstly, every student of the Performing Arts Faculty is obliged to take two years of Methodology studies, a discipline building the students up to a high professional standard both in performance and in teaching. Secondly, at the Academy, there is the Oriental Music Division in which Jewish- and Arab students study the rudiments of Arabic music together, a fact allowing for the development of projects within the field of Arabic music and cooperation between the sectors. Thirdly, the close relationship between students and their lecturers and instrumental tutors enables involvement and guidance on the part of the Academy’s finest lecturers and teachers for the duration of the students’ work with the community. Students active in the Academy’s Community and Youth Unit undergo personal selection; they are chosen for suitability in working with youth and different sectors of the population and they work under the close guidance of the coordinator of activities. The Academy encourages and, indeed, rewards genuine involvement of students and lecturers in the community in the form of the Dean of Students’ Prize for Remarkable Excellence in the field and by awarding academic credit for their work. The Academy places great importance on supportive- and meaningful work with the community – on the way the Academy is strengthening peripheral areas, and, perhaps even more so, on the way the peripheral areas are strengthening the Academy. 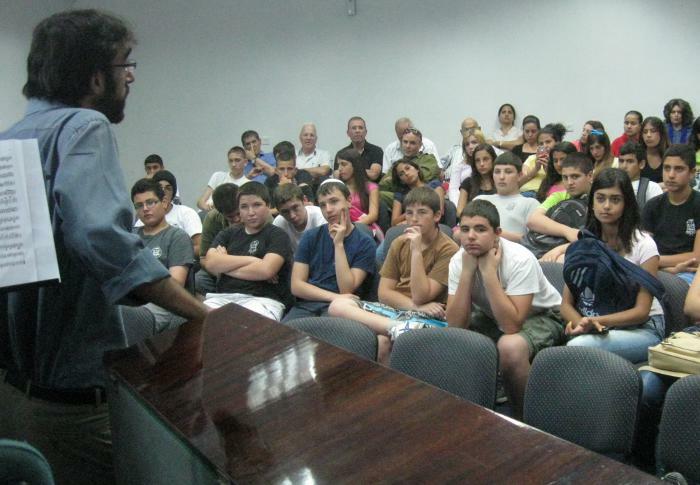 The Academy’s activity in peripheral areas began eight years ago in Ofakim and Mabu’im in the south of Israel. It began on a small scale and the work there was less frequent: once a fortnight, thirteen Academy students traveled two and a half hours each direction in order to meet with fifteen lovely children for two hours. In this small window of opportunity, the students, who were only expecting to teach lessons and gain experience, discovered young, talented musicians - young people whose environment related to their love of music as a hobby (sometimes costing their parents a lot of money). These children and their parents were surprised to discover that one could graduate with an academic degree in music and that there were young, serious people taking this vocation seriously. The influence and love of music was immediate and mutual. We have come a long way since then. The frequency of meetings has doubled, the number of students traveling to peripheral areas has grown (36), the number of children taking part has grown (130) and, likewise, the number of activity centres (6). However, till today, each project continues to be created according to the specific needs of the location and children. With the students undergoing very careful selection, they, week by week, bring professionalism, seriousness, the art of giving, music itself and the Academy to the children and the locale. Akko: Music Centre – This a centre that caters to the needs of Jewish- and Arab youth interested in light music and keen to acquire professional know-how; students are guided by lecturers or M.Mus. graduates from the Jerusalem Academy of Music and Dance. Yokneam: Musical “Perach”- Enrichment –Academy students travel weekly to Yokneam. They perform, teach and enrich the children there through personal example and their own deep, serious enquiry in the field of music. Eshkol-Ofakim-Mabu’im: Musical “Perach” – Enrichment – Academy students travel to these communities every week; there, they perform, teach and provide enrichment for the children through personal example coupled with their own in-depth, serious work in the field of music. Orchestra of the South – “Southern Bow” – This is an orchestra bringing together all the children of the communities of the Gaza Envelope to one place and as one group, enabling them to experience performance together within their own age groups. Kiryat Ye’arim – Children from the Kiryat Ye’arim Youth Village receive individual- and group music lessons. Their encounter with JAMD students enables these boarding school pupils to learn to play music and acquire musical know-how in the field of light music. This, in addition to their interaction with Academy students, encourages direct discussion on the same level and a glimpse into the academic world. 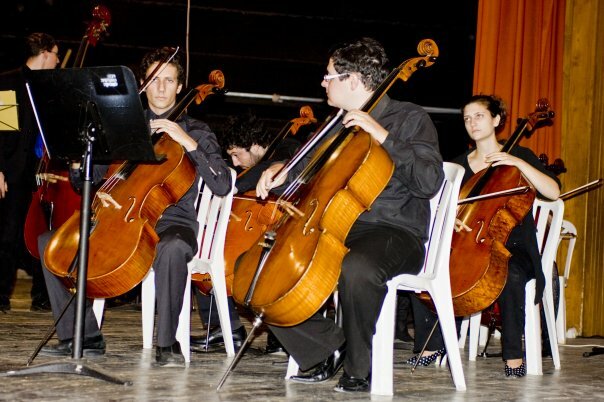 Explained Concerts – Students of the Jerusalem Academy of Music and Dance will receive guidance as to forming ensembles and assembling concert programs. 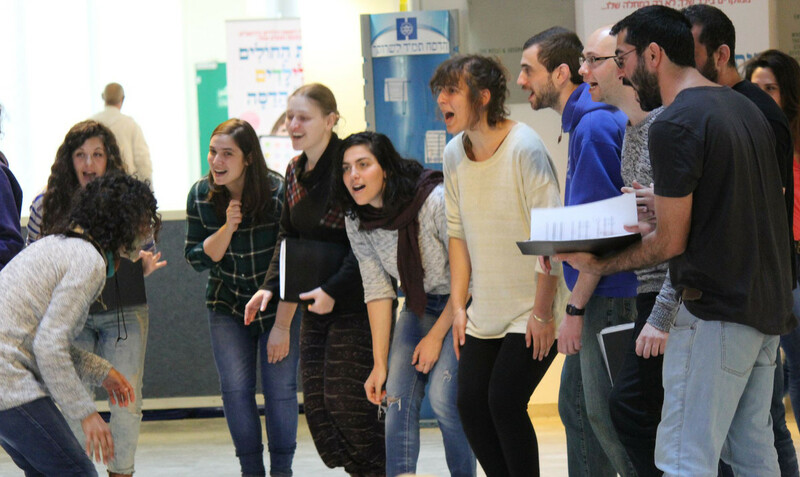 The students will appear with ensembles all over Israel, performing to children, youth and communities who have a need of such – with the aim of bringing all closer, introducing the young people to music and offering them a glimpse into the world of music. Kiryat Menachem– We have been providing assistance in establishing the music centre in Kiryat Menachem. Academy students are awarded scholarships for going to the centre to give lessons to individuals, groups and ensembles. In this way, the centre can enable a large number of neighborhood children to study for free or for a minimal fee. This system has produced a community of young music teachers sharing a common aim. Thirteen teachers and some fifty children are involved in the project. The Gonenim Centre – Activity here is aimed at strengthening the Katamon Music Centre. Academy students go to the centre to provide instruction on various instruments to individuals, groups and ensembles and, in exchange, they receive scholarships. This community of young teachers enriches the centre with young spirit, a refreshing approach and with professionalism. 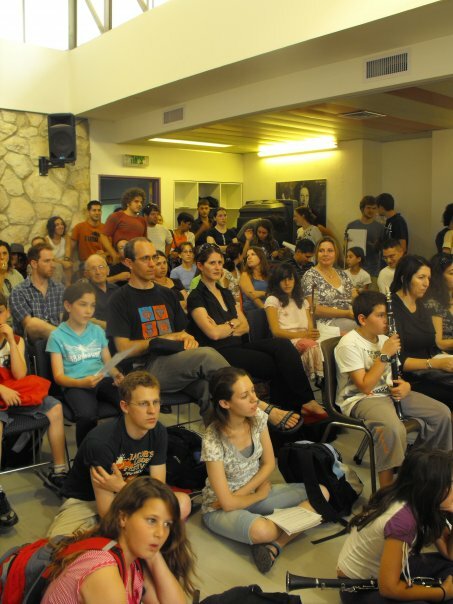 Pisgat Ze’ev – The Academy is strengthening the Pisgat Ze’ev Music Centre. 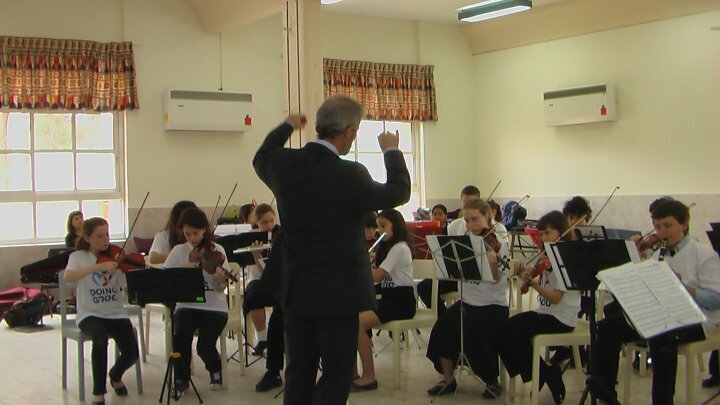 Academy students go to the Pisgat Ze’ev Music Centre, where they work with individuals, with groups and run ensembles, in exchange for receiving scholarships. The centre now enjoys being able to allow more pupils to take part in musical activities and receive musical education on a high level, with the team of teachers, at the same time, gaining work experience with different age groups and enriching the centre with young spirit and a youthful approach to education. 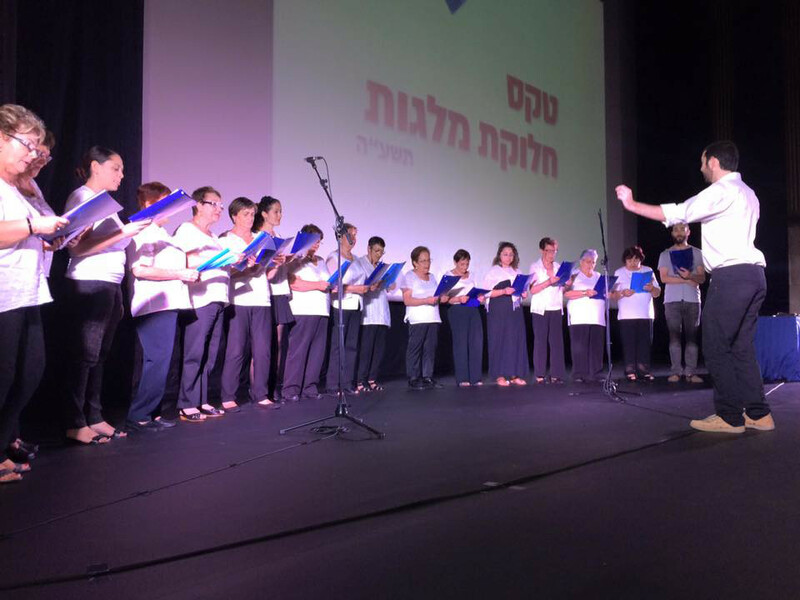 The Inter-Generational Choir – This was founded in cooperation with the Senior Citizens Division, the National Union of Israeli Students and the Jerusalem Academy of Music and Dance. Those taking part are Academy students, young people doing National Service work and local senior citizens. They sing together, creating new friendships and a vibrant community based on the desire to become acquainted with- and create music together. 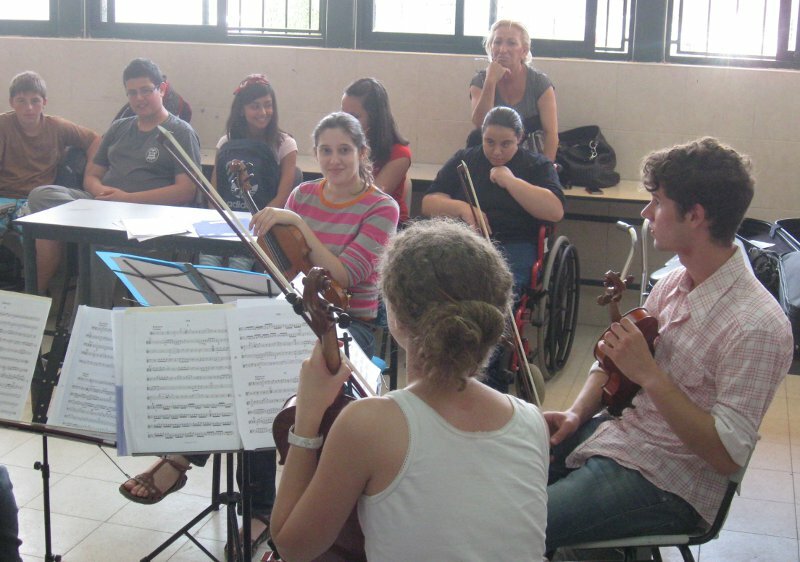 “A Horizon of Possibilities for our Children”– Academy students teach music to children with sight disabilities at “Beit Chinuch Ivrim” (Jewish Blind Institute, Jerusalem). In their work there, the students are exposed to a world of children and youth who have a unique approach to music; together, they enrich each other’s lives. Musical Mentoring – Once a week, Academy students meet with Jerusalem children for two hours, enriching their routine contact with them with music and movement. This mentoring is carried out in cooperation with the “Big Brother, Big Sister” non-profit organization and the “Shekel” non-profit organization (through which special needs children receive a student-mentor). 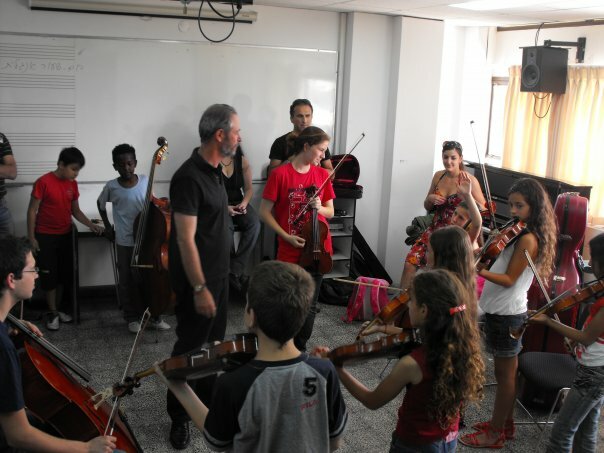 “Playing Together” – The establishment of an ensemble in which Jewish- and Arabic students from the Academy’s Department of Oriental Music connect with Jewish- and Arab children from Jerusalem. The project will offer the children individual lessons on oud and on percussion instruments as well as voice lessons. This undertaking will take place at the Academy campus; children taking part will come there from Abu Gosh and the Kiryat Yearim Youth Village. 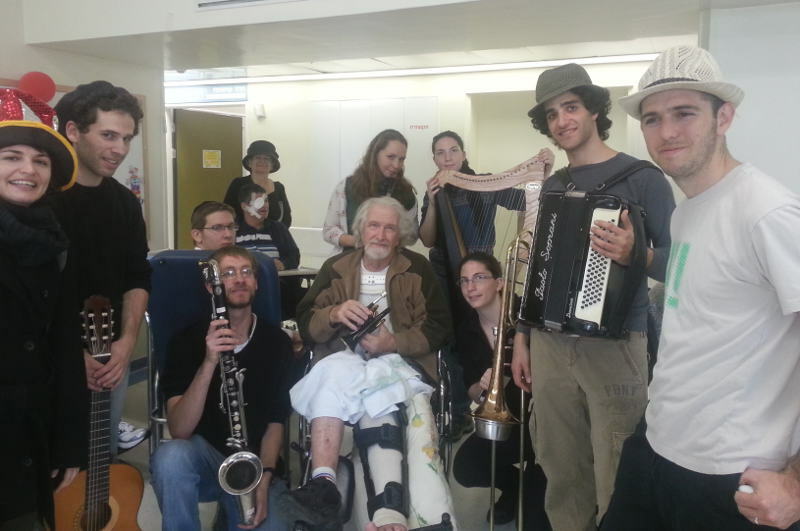 The Musical Core Group – The Musical Core Group is a project of collaboration between the National Service, the National Union of Israeli Students and the Israeli Senior Citizens Association. Establishment of the Core Group will enable students and young people up to age 24, who are involved in music and who wish to continue doing so during their service, to do this within the framework of their National Service work. At the Jerusalem Academy of Music and Dance, the matter of involvement in the community has been expanding and developing; into its eighth year, this has become one of the most focal issues of the institution. The growing need for meaningful professional action in this field has brought about the development of courses dealing with social involvement through the arts. “The Artist as an Agent for Change” – This focuses on the accompanying- and guiding of students taking part in the Academy of Music’s work with the community; it introduces the mentors to the dilemmas and experiences of this field of work, to group counseling and study. “Painting Sound” – The aim of the course is to give students know-how in holding music- and free art workshops in activity centers in their work in the field of social involvement. “Dialogue between Musical Cultures” – This focuses on presenting western art music and Israeli songs alongside Arabic art music and songs pertaining to Arabic folklore to Jewish- and Arab pupils.